Movement no. 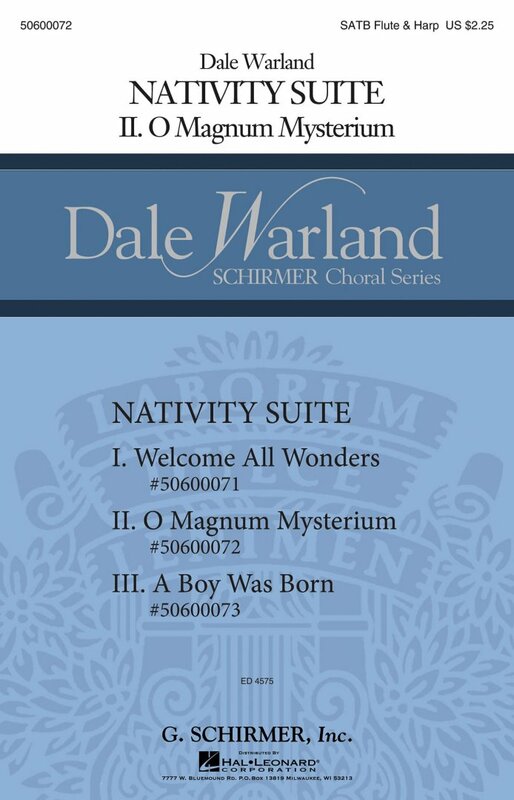 2 from Nativity Suite, the opening sounds of the instruments and voices in this setting of one of the most widely known of the Latin texts appropriate for Christmas are meant to conjure an air of mystery. The initial tone clusters, approached by layering the voice parts, suggest intimacy and the veiled quality suited to this traditional liturgical text. 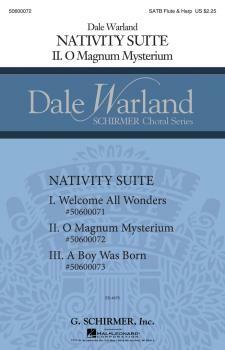 Other movements include: Welcome All Wonders (50600071), A Boy Was Born (50600073). Flute and Harp Parts available separately for the full suite (50600165).